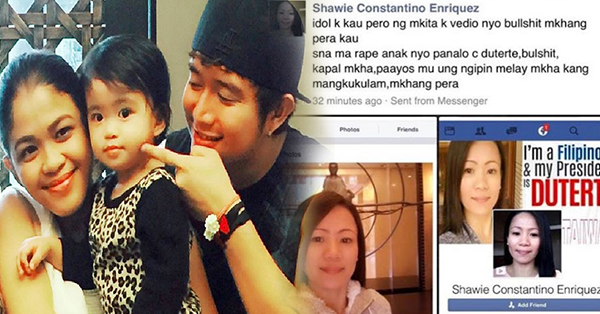 SHOCKING: Melai Cantiveros Broke Her Silence About The Issue Involving Her Daughter! Melai Cantiveros shared her distress in Instagram last Sunday against Duterte's supporter who wished her baby to be 'violated'. After she was visible in most campaign ads of presidential candidate Mar Roxas bashers didn't stop bashing Cantiveros. However, her silence has been broken when her daughter was already involved in the issue. The couple Jason and Melai are supporters and at the same time endorsers of Roxas. Because of the incident, Melai decided to file a case against the woman, named Shawie Constantino Enriquez because of the threat and bully against their daughter.